Schuco Piccolo Volkswagen Bus Schuco Scale Model. 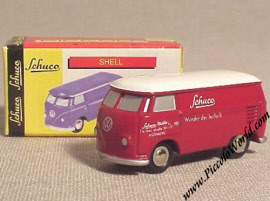 Issued in November 1997, its is a replica of the buses that Schuco used to run in the 1960's. Total production was 3,000 pcs destined for the specialist trade.